Formerly a professional rider for the Kargo Pro MTB Team, Siya has a wealth of racing experience. He has completed the gruelling Absa Cape Epic three times (2011, 2012, 2013), not to mention the Sani2C and a host of other marathons. 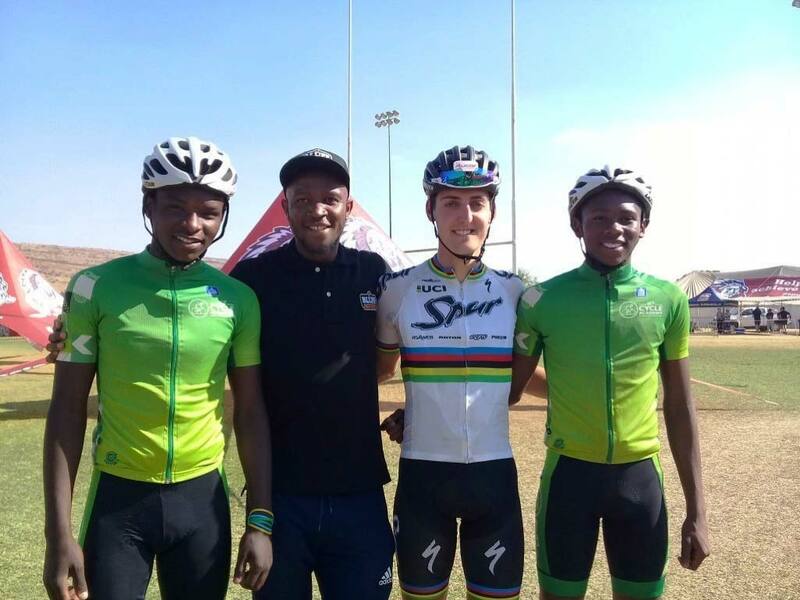 As head coach of the GO!Durban Cycle Academy, Siya is able to transfer his knowledge and skills to the other coaches, as well as the young athletes. Siya oversees the general operations of the bike programme, ensuring that the bikes are functioning optimally and that there are sufficient spares for repairs, and supporting the coaches at each GO!Durban Cycle Academy bike park. One of Siya’s big dreams for the future is to have our riders experience the Absa Cape Epic and someday win the Exxaro Development Jersey. 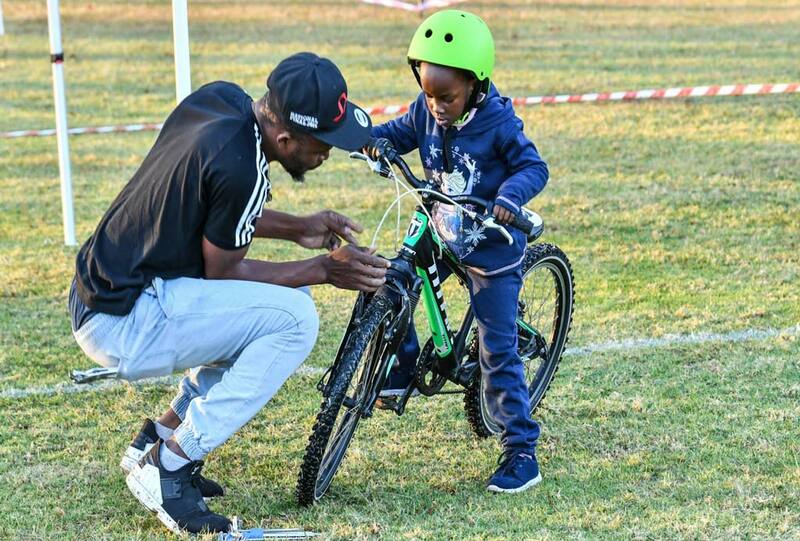 However, despite the great results on the bike, the most important thing for Siya is creating a safe haven for the kids in the community at the GO!Durban Cycle Academy. 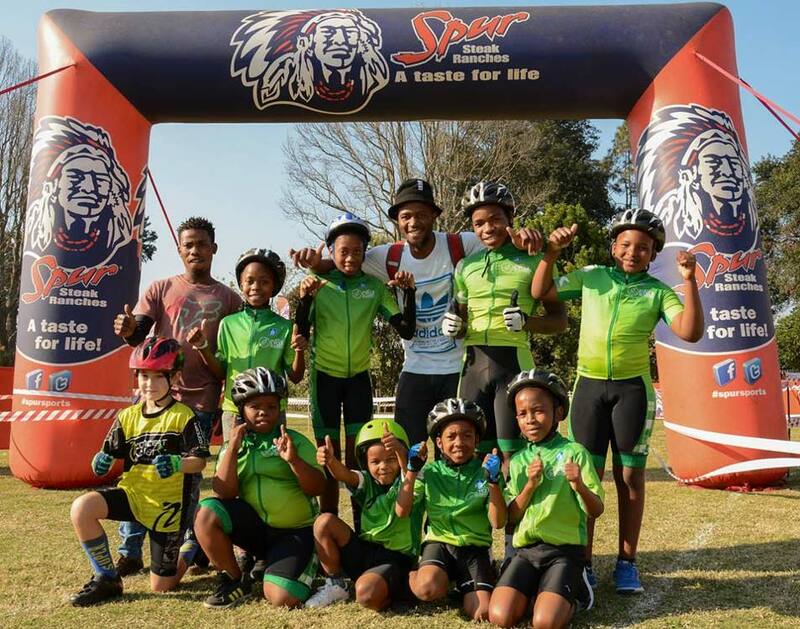 It’s a wrap on the 2018 Spur Schools MTB League and what a year it was! Thanks to our new VW Crafter Van from Hoopers VW, we were able to transport more riders to the provincial races this year, including primary school kids and girls, which marked an important milestone for the academy. During the season we achieved seven podium finishes, five of those in the female categories. Overall in the KZN series, the GO!Durban Cycle Academy was placed 3rd on the High School log and 6th on the Primary School log. Two of our riders, Mncendisi Mkhize (Northwood High School) and Sanele Mkhunya (Bheki High School) were selected to represent KZN at the national finals event in Magaliesburg on the 5th and 6th of October, which provided another great opportunity for the boys to be exposed to a national level of riding and also to socialise with riders from other schools and provinces. 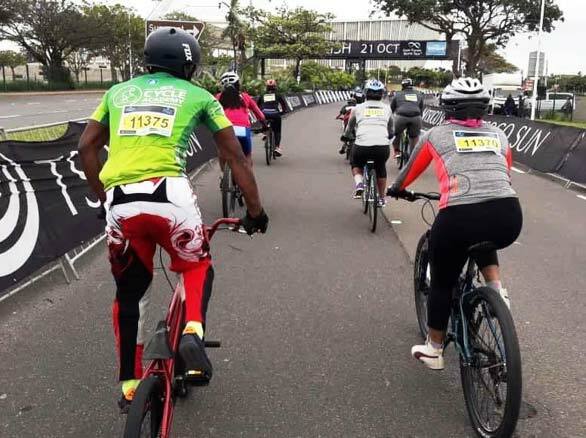 “The Spur Schools MTB League is always a highlight on our calendar and we are very proud of all our riders who participated this year,” says Shaun Peschl, Programme Director of the GO!Durban Cycle Academy. “A huge well done and congratulations to our deserving coaches who work tirelessly throughout the season to get the riders race-ready and co-ordinate logistics on race day. We also wish to thank Tim Keep, KZN Schools MTB and Spur Sports for making the series possible and for sponsoring the entries for our riders this season,” Shaun concludes. 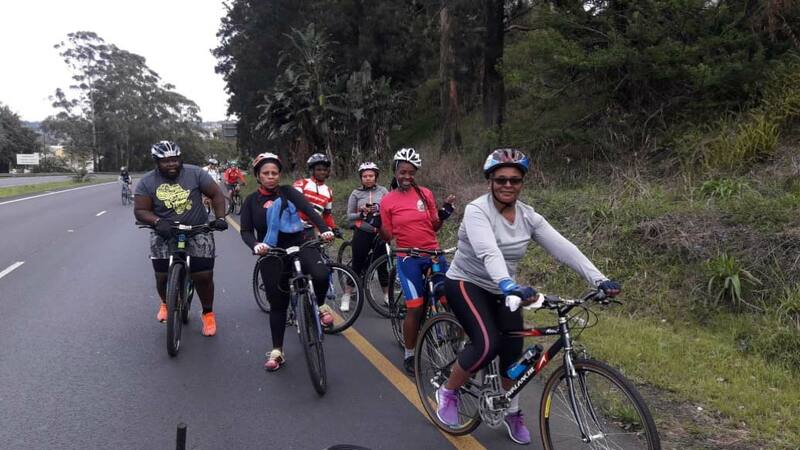 It was an exciting day for four KwaMashu moms as they braved the Durban roads on two wheels for their first cycle race on Sunday, 21 October 2018. 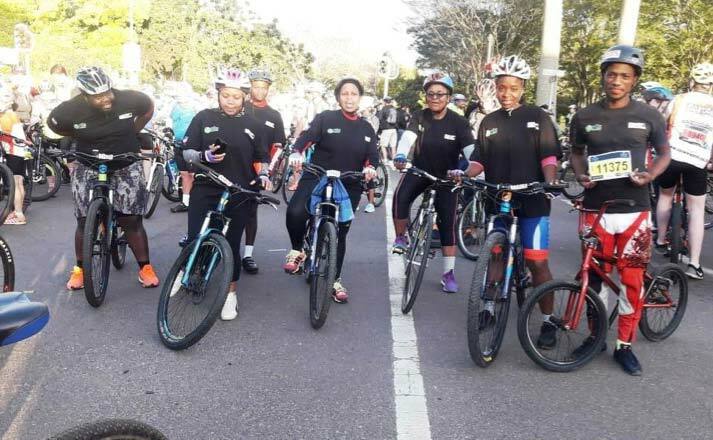 With the help of their Coach, Thobani Bhengu – who has been training them for two months leading up to the big event and riding the race alongside them on his BMX – the ladies successfully completed the 35km route of the Amashova Classic! 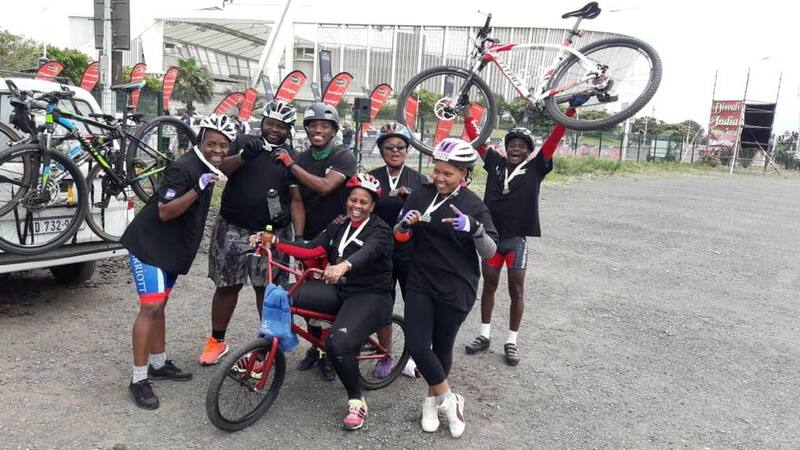 Their commitment to the classes and hard work is already paying off and, with a little bit more training, Thobani is confident that the riders will be able to take on longer and more technical races soon.